What an extraordinarily interesting piece. 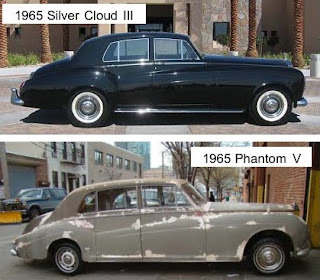 Might I add that I have some doubts as to whether the Rolls Royce that Phil Spector owns was John Lennon's. When I interviewed Spector in December 2002 I asked him about the car. He said it was a 1965 Silver Cloud (I've no idea how my error about it being a 1964 crept in!) but he said nothing about it having once belonged to Lennon - which I think he would certainly have mentioned had that been the case. 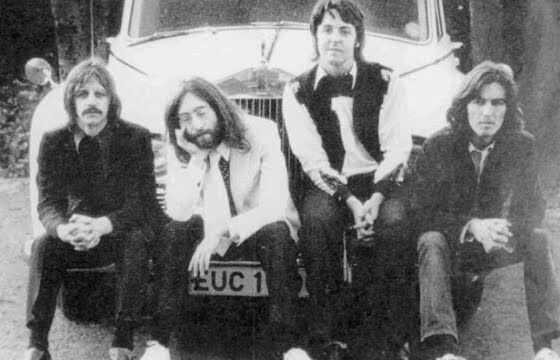 He was very proud of his friendship with Lennon, and went to some pains to show me a drawing by Lennon hanging on the wall, one of Lennon's guitars on a stand in his music room, and a white piano that he said had once been Lennon's. I am certain he'd have told me if Lennon had given him the car. Amusingly, when the car came to collect me from my hotel there was a delay when Spector's chauffeur, Adriano deSouza, was unable to get it started. A taxi-driver had to pull over with a set of jump-leads to get it going. It was deSouza's first day on the job and I remember him telling me he'd never driven a Rolls Royce before. It was deSouza who later gave the critical testimony in Spector's murder trial, saying that he had heard Spector say 'I think I killed somebody'. Spector had a taste for Rolls Royces. The Roller used in the scene in Easy Rider, where Spector plays a coke dealer, was his own - along with his driver, Mac. I believe Spector wrote off that car in the 70s when he was involved in a near fatal accident driving in Hollywood. Do you think you could find the time to pursue the question of who owns John Lennon's white Rolls Royce? It would be fascinating to know for sure. Yes, let me see what I can find out. I have spoken with the estimable Tony King, who worked at Apple and was a close friend of John's. 'I wish I could be the source of all information but I have no idea where it ended up, although I did use it when I was at Apple to go to lunch sometimes!! This is such an interesting story - hope that the mystery gets solved eventually. I guess Yoko is the one to ask? Does she frequent the blogosphere much?? I washed and parked Tebo's car today, never had a doubt in its authenticity. shifts kinda rough and brakes are iffy, but its a 45yr old amazingly pretty car. I really dont have a doubt that Mr. Tebo owns the real car. There are two white Rolls in Pensacola, Florida, both allegedly had been owned by John Lennon. One in particular would be hard to believe. It has just been sitting in a town-home parking lot along Bayshore Blvd. forever and a day, it seems. The interior is totally torn up but I do believe they have finally fixed the flat tire it had been sitting on for years! The other Rolls is owned by the same man that owns a local retirement home. He claims that his car is the one in the famous photos. I've seen it parked in front of his home (which reminds me of the Taj mahal, only not white) often. I don't know if he's provided it with a garage or not. It does look beautiful from the road despite its gaudy surroundings!